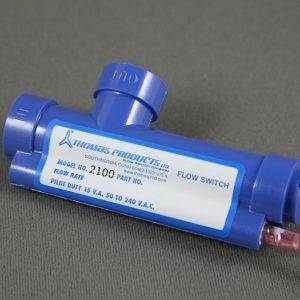 2200 Series Liquid Flow Switch ⋆ Thomas Products Ltd.
Because we mold in-house, we can certify that our polysulfone flow switches use only virgin material and runners are not introduced nor have color concentrates been added during processing that can hinder FDA requirements or additive leaching. 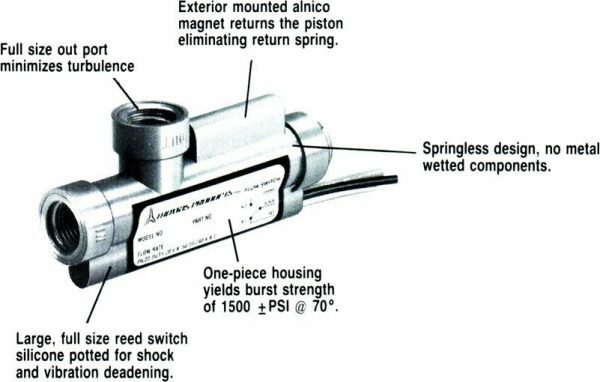 Standard flow calibration is in water @70°F with lead wires up. 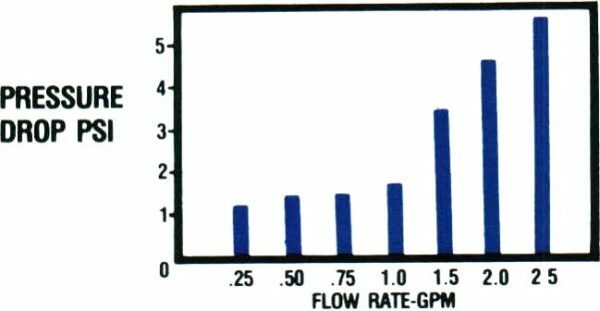 Calibrated on increasing flow. 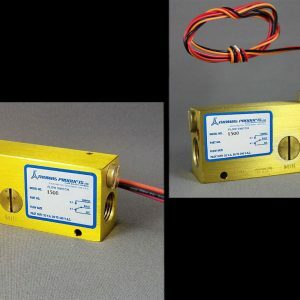 Model 2100 set point accuracy will change slightly in other than calibrated position. 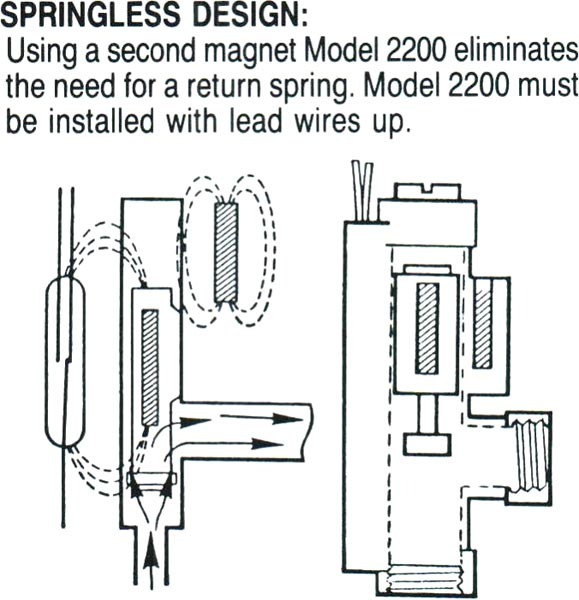 Model 2200 must be installed with lead wires up. Polysulfone is a FDA approved material. Actual housing burst strength of 1500 PSI ± @ 70°F. Standard flow settings are calibrated in water as low as 2 cc/min. 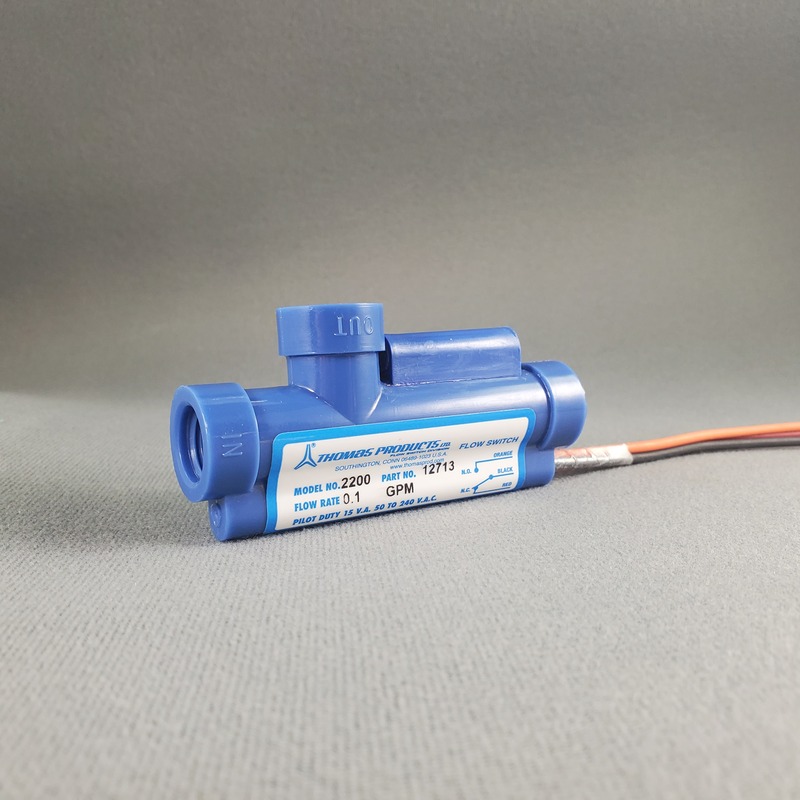 Other set points in water are available. Consult factory.